December, the 5th, there was a terrible event in Russia, a fire in the night club of Perm, its result was 112 persons were lost their lives. There are 123 persons in the grave condition hospitals. The tragedy has shocked at its scale. Dmitry Soin, the leader of the IYC-PDP "PRORIV! 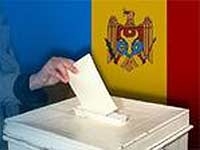 ", the candidate of sociological sciences, comment on the next non-election of the president of Moldova. The active workers of IYC-PDP "PRORIV!" have visited the performance of Kiev circus "CLOSHARD"
The inhabitants of Tiraspol have possibility to take pleasure by a circus art from November 20th till December 13th. 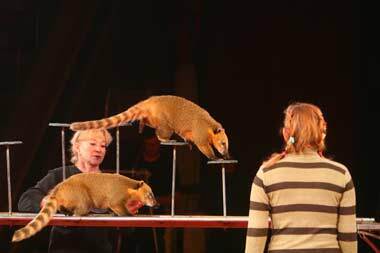 The tours of the Kiev circus-chapiteau "CLOSHARD" are held these days in the capital of The Dniester Moldavian Republic. December, the 5th 2009, the IYC-PDP "PRORIV!" held the regular action devoted to the Great Russian commander and the founder of capital of Transnistria, Alexander Vasilevich Suvorov. December, the 7th: will the Moldavian suicide take place? The doctor of political sciences, the expert of Russian and Transnistrian information and analytical centre Rady Konkin talks about prospects of mass suicide of the Moldavian political elites. Does Transnistria move into Moldova or inside out? The prospects of the Moldavian-Transnistrian settlement in simple people's eyes. The peace making authority of Russia is indisputable in zone Moldavian and Transnistrian conflict! As press service of the Ministry of the State Security of The Dniesret Moldavian Republic said, December, the 4th 2009, the working meeting of Ministry leadership, heads of divisions, commanders of military units and operative structure of The MSS of The Dniester Moldavian Republic with the head of Transnistrian delegation in The Union Control Comission O. L. Belyakovy took place. Russian expert, political analyst, candidate of science philosophy Michael Smirnov answers the questions of the information agency “Lenta PMR”. The healthy youth is the healthy state! The chairman of the IYC-PDP "PRORIV!" Alexandr Gorelovsky discusses about youth, state and party’s role of situation improvement.